Time and Money II will offer a robust discussion over the latest technology alternatives for delivering accurate time, potential regulatory changes on the horizon, and what this all means for the financial industry’s future. **Seating is limited and advanced registration is required. Registration will close at 3:00 pm ET on Monday, January 22. Registration for the Time and Money Workshop is now closed. 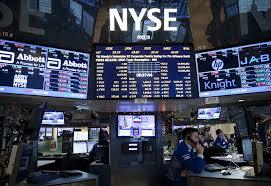 Please note that there is no on-site registration due to NYSE security.